I honestly believe that the quality of tools you buy will affect the overall quality of your project. Many of my tools have been collected over the years, and some of them are from my great aunt (which means they're about 40-50 years old). Because higher quality tools last longer (and save you money in the long run), I recommend spending on them more up-front. 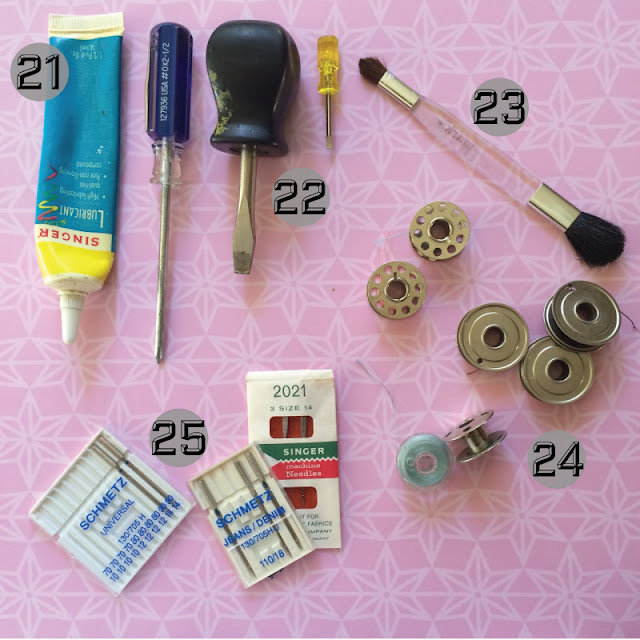 I've compiled a list of my absolute favorite and most used tools. I have not been sponsored by anyone to make this list, and the tools featured are so only because I personally love them. 1. Quilting Ruler: These clear rulers come in a variety of sizes, but I prefer the 2" x 18" size. 2. Sewing Gauge: The sliding bar on this metal ruler makes it my go-to measuring tool for seam allowances, and hems. 3. Sewing Gauge: This is another type of sewing gauge that is suitable for small measurements. 4. Measuring Tape: These soft tapes come in a variety of materials and lengths. They are essential for taking body measurements. I don't recommend the paper versions (they rip too easily), instead purchase one made of fiberglass or synthetic fibers. 5. 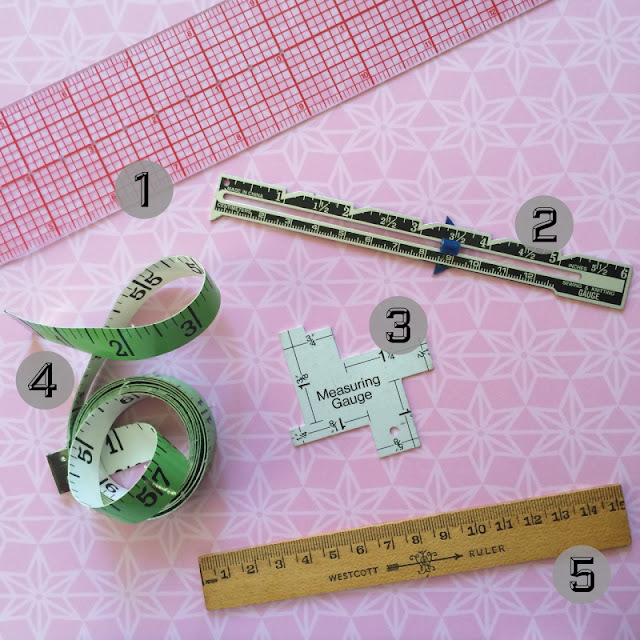 Metric Ruler: For us in the United States, it's helpful to have a metric ruler on hand for European sewing patterns. 6. Rotary Cutter: The absolute best cutting tool for cutting lots of straight lines (quilting for example). Used in coordination with a quilting ruler (#1) and a rotary mat (not featured in this post). 7. Quality Sewing Shears: Mine are manufactured by Gingher and cost around $40, and I must tell you that they are worth every single penny. I have them sharpened at my local sewing repair store for about $3 every few months. I use them solely for cutting fabric, because cutting through paper dulls the edges quicker. 8. Embroidery Scissors: These small little 'nippers' (as my mom always called them) are always to the right of my sewing machine for cutting small threads. They also have fine points which are good for notching curves and clipping corners. 9. 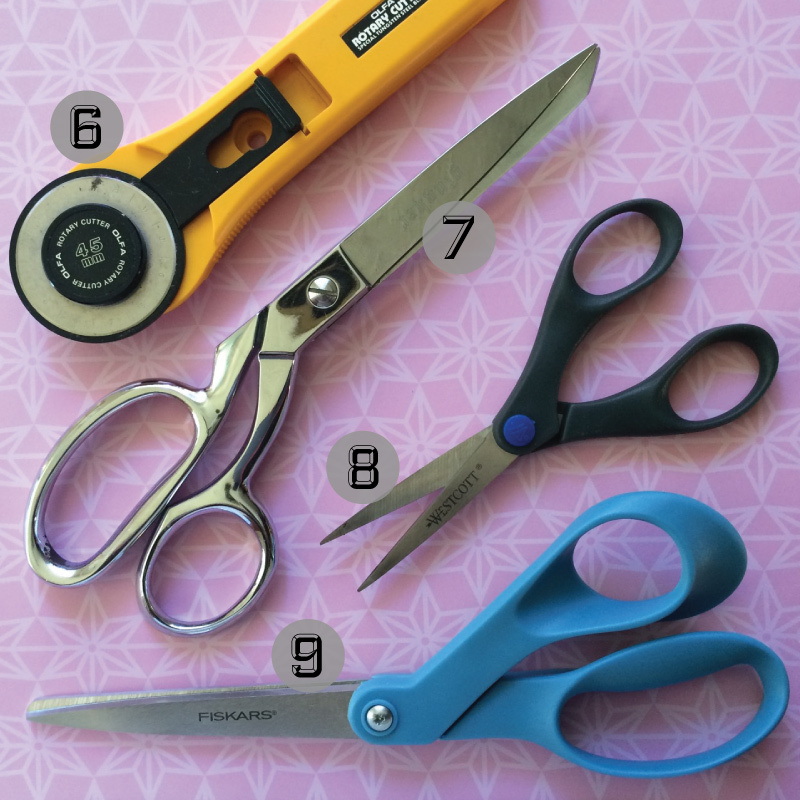 Paper Scissors: I use these scissors to cut out paper pattern pieces and I highly recommend that all sewists have more than one set of scissors to preserve the integrity of their fabric shears. 10. 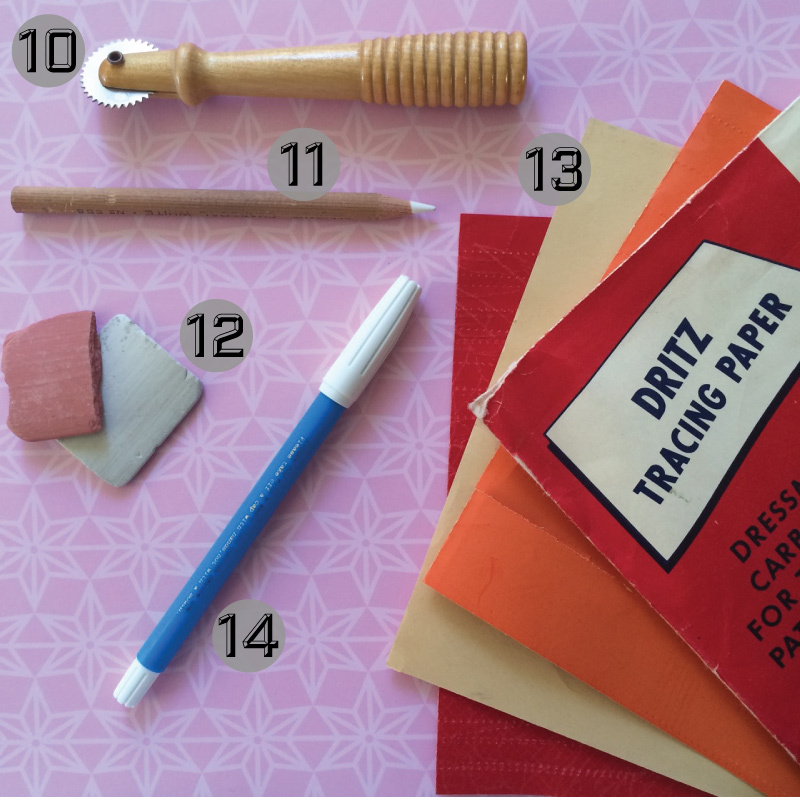 Tracing Wheel: Used to mark lines, such as darts and gathering lines, from paper patterns onto fabric. Used in coordination with tracing paper (#13). 11. Chalk in Pen Form: I'll be honest, this is actually a charcoal pen for art. 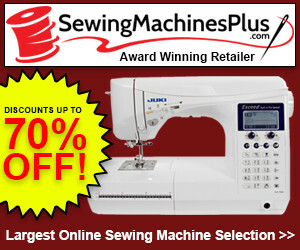 But, they do make real ones for sewing. Either way, I advise buying one in white for marking dark colored fabrics. 12. Tailors Chalk: A more cumbersome version of the pen, but still suitable for marking fabric. 13. Tracing Paper: Tracing paper is used with the tracing wheel (#10) to mark lines, such as darts and gathering lines, from paper patterns onto fabric. 14. Marking Pen: These Mark-B-Gone marking pens made by Dritz are my absolute favorite marking tool. The marks disappear when a damp washcloth is applied to them, and the color is bright and easy to find on most (lighter colored) fabrics. 15. Thimbles: I mostly use thimbles during the final stages of a garment. When hand sewing facings, hooks & eyes or zippers, for example, thimbles are really helpful to push through several layers of fabric and prevent my fingers from suffering. 16. Safety Pins: I suggest that sewists have many sizes of these on hand. Safety pins are great for using to turn long, narrow tubes, such as belts and straps, right side out. Quilters also use many of them to hold the front, batting and back of their quilts together while they stitch the layers together. 17. Knitting Needle: I use a knitting needle to poke out corners, such as those in pilllowcases, napkins, collars, etc. 18. Loop Turner (Bodkin): Like safety pins, this tool is used to turn tubes, such as straps, drawstrings, ties, etc., right side out. I use this tool all the time, because it is long and skinny it works better in some applications than safety pins. 19. 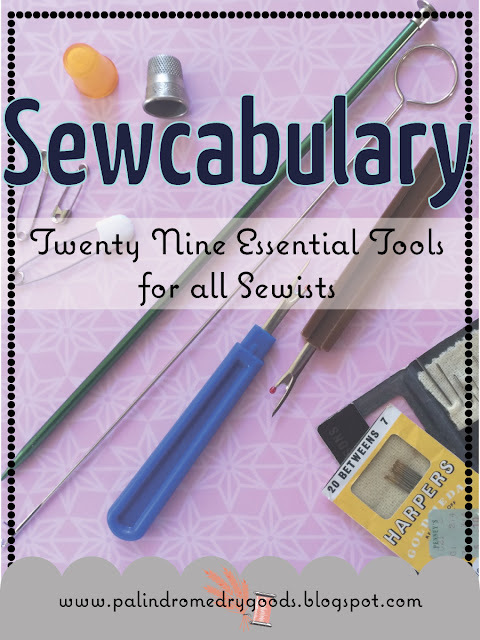 Seam Ripper: Unfortunately, this is an absolute requirement for all sewists. Some have shorter handles, but I prefer the kinds with longer handles because I find them easier to hold. 20. Hand Sewing Needles: There are hundreds of different kinds of hand sewing needles. I prefer ones called 'sharps' with smaller eyes, but I also always have some larger (usually less sharp) ones on hand as well. I recommend buying a pack with a variety of lengths and eye sizes. 21. Sewing Machine Lubricant: I highly recommend sewists learn how to service their sewing machine themselves. Read more about that in this post. I prefer the thicker type of lubricant that comes in a tube, not the very liquid-y stuff that comes in a squirt bottle, but to each their own. 22. Screw Drivers: If you have a brand-new sewing machine, you probably received a little piece of metal that is supposed to act as a screwdriver. I don't like those flimsy pieces of metal, and I suggest that you purchase a set of sewing machine screwdrivers. Again, more about servicing your machine in this post. 23. Brush: Again, one of these may have come with your sewing machine. If you have an older machine, you can purchase a special one for servicing sewing machines, or if you're like me, you'll just find an old makeup brush, or a paint brush. 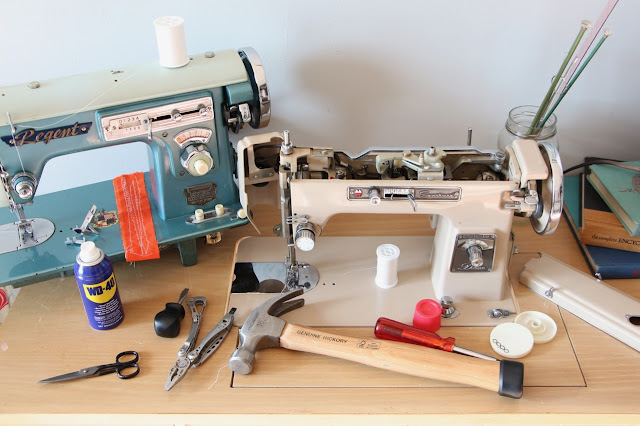 Used to clean lint and threads out of your sewing machine, you can learn how, and where, to use it in this post about servicing your sewing machine. 24. Bobbins: There are many different types of bobbins, especially for older machines, and it is crucial that you use the right kind of bobbin for your machine. Your manual should tell you what type of bobbin fits in your machine. 25. 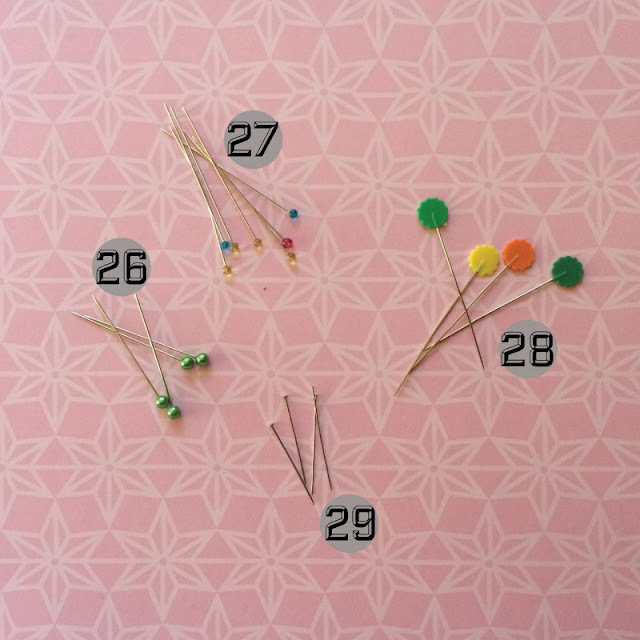 Sewing Machine Needles: I used a universal needle for roughly 85% of my sewing. 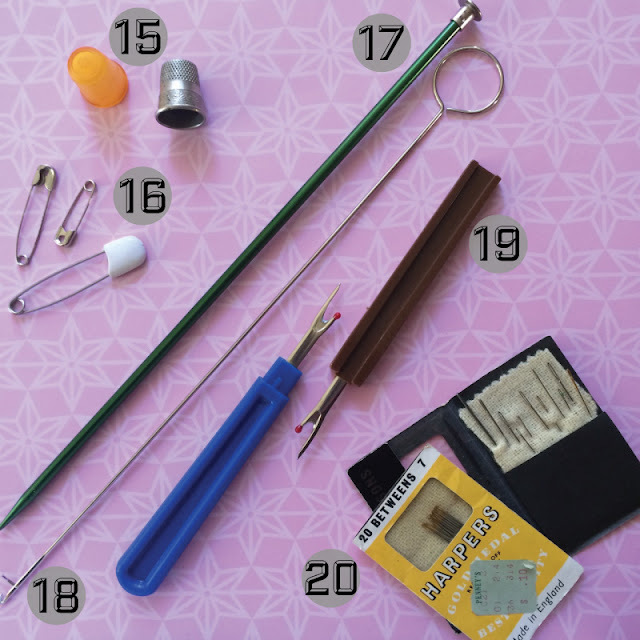 You can purchase needles for leather, knits, denim, embroidery, sequins, and more. 26. Color Ball Pins: These pins aren't my favorite, but I use them a lot. Mine are 1 1/2 inches in length and are good for use with most cotton and thinner natural fabrics. 27. Glass Head Pins: These are my favorite pins. They are sharp, thin, and have small heads that don't interfere with my sewing machine. They are great for use in most light and medium weight fabrics, but I don't recommend using them with thick fabrics, or lots of layers, because they will bend. 28. Flat Flower Pins: These are 2" in length and thicker than the glass head pins which makes them appropriate for more layers and slightly heavier weight fabrics. They're my second favorite pin and I use them frequently. 29. Flat Pin: I have never used a set of these pins that I liked. They are short, and awkward to hold. However, they are sharp, and can be ironed over, which is kind of nice. What are you favorite tools? 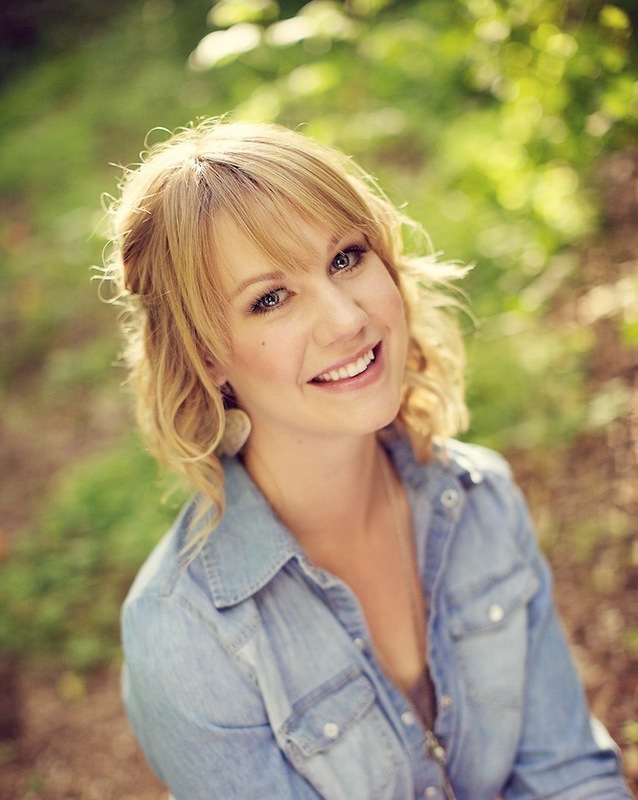 I'd love to learn about some new products and hear your input. Have a tool but you don't know what it does? Send me a picture and I may be able to tell you it's purpose!